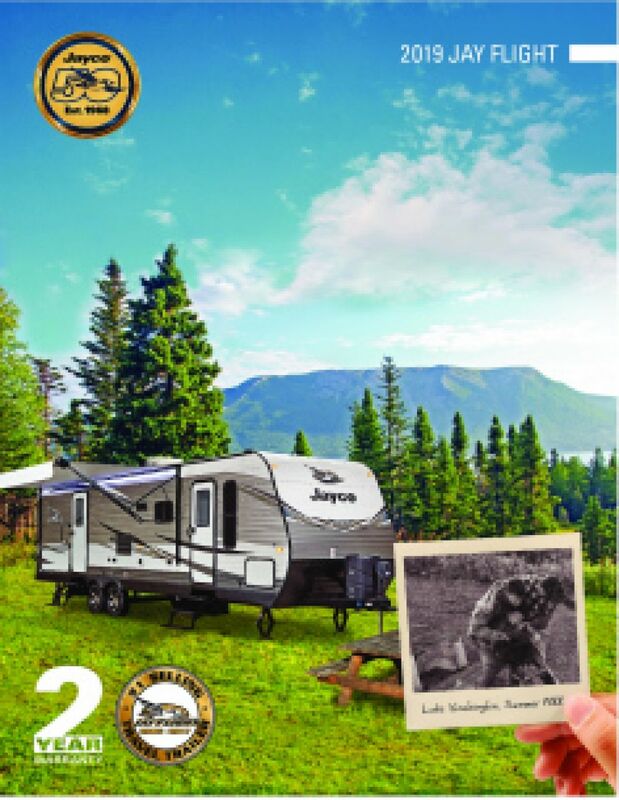 Take a trip in style with the 2019 Jayco Jay Flight SLX 287BHS Travel Trailer! 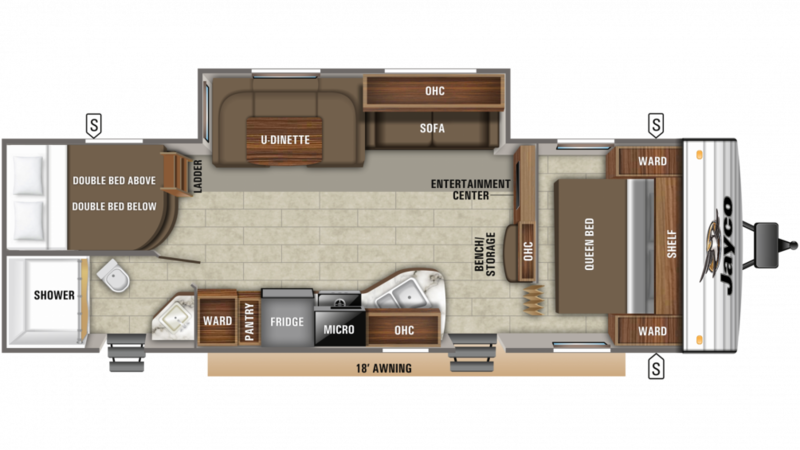 As one of the nation's premier RV dealers, Tradewinds RV Center in Clio Michigan offers all the top brand park trailers, travel trailers, 5th wheels, motorhomes, pop-ups and more at sensationally low prices that will save you $1000s! Stop in and see us today at 4325 W Vienna Rd Clio Michigan 48420 and our courteous, expert staff will help you find the perfect RV for you and your family at a price you'll love! And remember, we have 24/7 fast, reliable store-to-door delivery anywhere in North America! So no matter where you live, find the RV you've always wanted online and give us a call at 810-686-0710. You'll be in your dream RV in no time! There's more than enough room for everyone in this comfy camper! It's a spacious 33' 5" long, 8' 0" wide, and 11' 0" tall! Plus, the interior stays at a cozy, stable temperature. That's because the interior climate is powered by the 13500 BTU a/c unit and the 25000 BTU furnace! Snuggle into the cozy Queen bed for a good night of sleep in the master bedroom! Of course, this isn't the only place to get a full night's rest! There are enough sleeping accommodations throughout this comfy camper for up to 10 people! You'll cook breakfasts, lunches, and dinners easily in the kitchen with its modern cooking appliances! There's a 3 burner range cooktop, a handy 6.00 cu. ft. refrigerator, and more! Your family will have enough water for the entire trip, thanks to the 38 gallon freshwater tank! There is a sanitary Marine Foot Flush toilet and a spacious shower in the bathroom, rendering trips to the gross campground bath facility obsolete! Plus with 40 lbs. of LP tank capacity providing heat, your showers can stay hot all vacation long! The 39 gallon gray water tank and 39 gallon black water tank store all the used water and waste, so you don't have to deal with it while you're having fun on vacation! The Bunkbeds inside the bunkhouse offer plenty of comfortable sleeping space for the family!